The Modern web is not just for static websites and content consumption. It is the most open, flexible, and immediately accessible application runtime available today, via both mobile and desktop browsers. Modern web applications use architectures that make them more like their native app equivalents on iOS and android. WordPress is highly regarded as one of the easiest, most straight-forward platforms to use, making it simple for you to manage your site on a daily basis. The ease of use gives you more freedom to focus on the content of your site rather than building it. No preceding coding experience is required to manage or modify your site’s content on the CMS, as demonstrated by the fact that 35% of the internet is powered by WordPress. 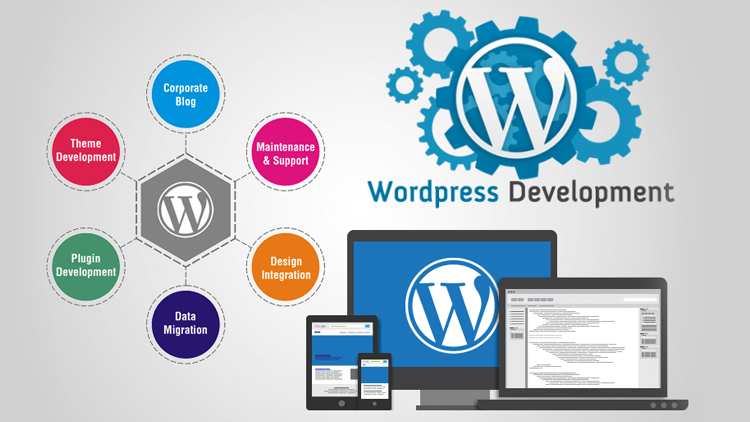 WordPress is an ideal solution for organizations that focus mainly on publishing content and want to influence the constantly growing list of plugins created by a large developer community. Unleashed technologies team of experienced WordPress developers provides deep architecture and implementation knowledge in WordPress portal design, information architecture, development and support. Many different third party applications and Plugins. NoorAX builds versatile, easy to use WordPress websites that gives you full control of your website and the content, which you can easily update as your business grows. Work directly with our developers to create a website that gives your customers a clear vision of your company/brand and personality. Your blog will be hosted directly on your websites, making all of your content easily accessible by your website visitors. Our Development team takes note of each of your needs and builds powerful web applications with scalable features. In this way, businesses can better streamline their daily operations and processes to fulfill key challenges and achieve targeted goals. Our development team consistently delivers powerful WordPress customizations. NoorAX is a full-service digital agency that can help you to customize your user experience in a way your market will respond to.